Dust mite allergy bothers many people, and can make travelling around and staying in hotels difficult and sometimes very unpleasant for sufferers of allergies, asthma and eczema. At Mum’s we are trying to help create special rooms in hotels across the country with our unique Allergy Friendly Hotel Room service, which can cripple the dust mite population in any room. We also provide Allergy Friendly Nursery rooms to help children and staff with allergies. In our treatment, we use our specialist equipment to clean mattresses, carpets, curtains, and any upholstered furniture. The service is provided by specially trained hypoallergenic cleaning operatives using our specialist equipment. We use a steam cleaner to clean deep within carpets, rugs, curtains and mattresses. 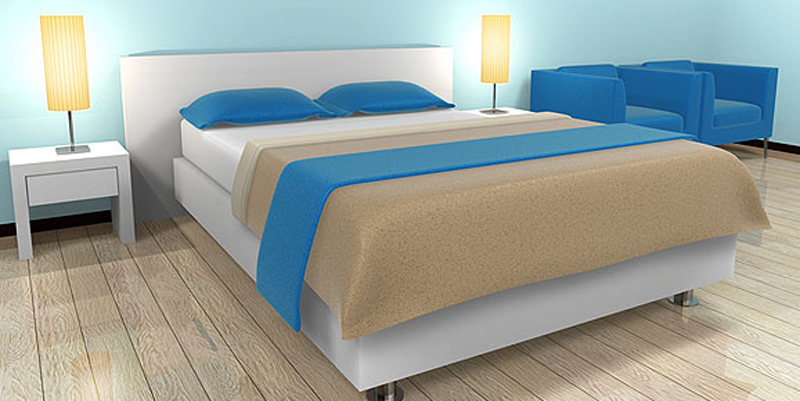 This thoroughly sanitises the mattress, removes odours, and kills dust mites. We use a powerful UV-C lamp.The light from the lamp will kill 99.9% of dust mites and bacteria, virus and other micro organisms. We leave behind our wall mounted air purifier system which can dramatically improve the quality of indoor air, helping remove particles in the air that cause disruption to airways such as dust allergen, odours and germs. It’s a four stage process, carried out up to three times a year depending upon occupancy rates. On completion, a certificate is provided so that customers are aware that the hotel room is free from the house dust mites that trigger allergies and the hotel adheres to high standards of cleanliness.